The convenient location of Blanco’s Hotel provides the ideal place for meetings, conferences and corporate events in South Wales. Our business support team will make sure you and your delegates have the necessary support and administrative facilities to ensure your event runs efficiently and effectively. Blanco’s business facilities combine modern comfort and the latest in business technology. Our meeting rooms are equipped with high-speed internet access and the latest audio-visual equipment. 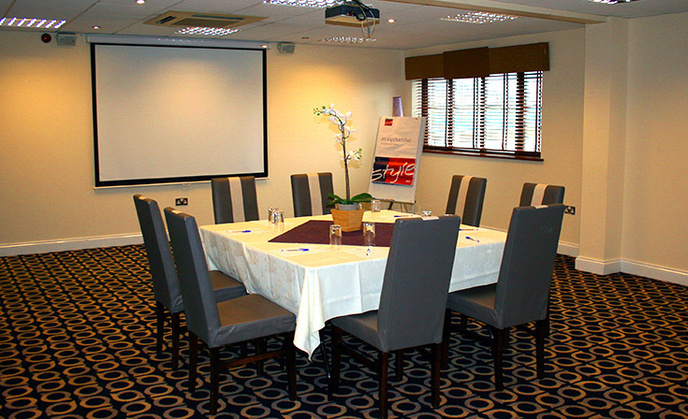 We have a number of meeting rooms available. Smaller rooms are suitable for up to 60 delegates. The Michael Sheen Suite can comfortably seat up to 160 delegates. We've got some great value corporate packages available, so please call for details. These suites are perfect for meetings and conferences. The suites are air conditioned and fully equipped to meet every requirement to accomplish a successful conference or seminar. The largest of all our rooms, the function suite can be used for a variety of events, including private functions, large conferences, trade shows and exhibitions. The room benefits from plenty of natural daylight, air conditioning and its own bar area and dance floor. COPYRIGHT © 2017 BLANCO'S HOTEL & RESTAURANT. PORT TALBOT. ALL RIGHTS RESERVED.